Saudi Arabia has unleashed a good deal of power against Qatar since the very suspicious incident of emails being leaked to the media. The Qatari national news website was hacked and had emails allegedly from the government showing links to terrorist groups and growing ties to Iran. With these “revelations” the Saudis have pounced on the opportunity to carry out hostile actions against them. Many believe that this is an attempt to force Qatar back to its client state status from decades ago. It should not be seen as a coincidence that this hacking and the resultant hostilities come as Qatar has lifted its moratorium on the development of the North Field natural gas region back in April. In 2005 the government halted development after they decided they needed to study the effects on the reservoir that would develop as a result of increased output. 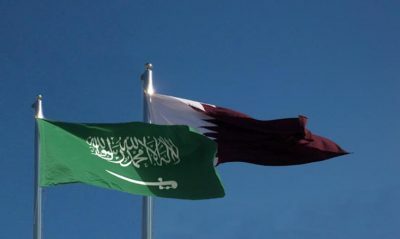 Thirteen demands were made of Doha by the Gulf Cooperation Council (GCC) spearheaded by the Saudis. They include cutting ties with the Muslim Brotherhood, scaling back cooperation with Iran, and shutting down the state broadcaster Al-Jazeera. Qatar has dismissed them as ‘unrealistic’. Qatar is under no obligation to bow to the demands of the GCC who have no legal basis for threatening them. Since the diplomatic row between Qatar and its neighbors, Doha has suffered from an economic blockade. The Saudis have been able to do this because they control the only land connection Qatar has. As it is, Qatar imports 80% of the food it consumes. 40% of that comes across the land border with the Saudis. Qatar was also importing $5 billion worth of goods from the blockading countries Saudi Arabia, the UAE, and Bahrain. They, however, have not been left without support. In the absence of these goods, alternative sources of milk, eggs, and cheese have been offered by other countries. Most notably, Turkey and Iran. The irony is that, as they’ve demanded Qatar pull away from Iran, they have only moved closer out of necessity. Despite the impact of the economic war on Qatar, there has been little real damage to the economy. The central bank currently has a huge foreign currency exchange reserve which it can use to support its currency. As of 2016, Qatar’s Foreign Exchange Reserves as a percent of their GDP was reported at 19.79%. They’ve also made it clear that additional liquidity will be made available to anyone who requires it. Qatar has the power to withstand a Saudi financial assault. When demands were made by the Saudis, Qatar took a moment to think them over, using up the time that they were given to answer. Their response was a casual dismissal that told them that their demands were unrealistic. The almost off-handed manner with which they replied must have irked the Saudis something fierce. Few states in the region wield the significant political capital to do such a thing. This says something very important about how Qatar views their chances in further hostilities. The Saudis have certainly underestimated the tenacity of the Qatari government. They’ve also underestimated the willingness of other Arab states to assist them during this time. Perhaps they have had a free hand by US imperialism for so long that they’ve forgotten what the situation in the Middle East is like. Materially and politically we’ve seen other countries step up and give support for the Qatari government. The Saudis thought they would have them over a barrel unable to defend themselves. They have most certainly been proven incorrect. Many are concerned that the tensions between the two countries could break out into a war. The prospect is very unlikely. As it is the Saudis are already bogged down in a vicious struggle in Yemen. The rest of their military capacity is focused on controlling terrorist forces in Syria and Iraq. There isn’t really any forces to speak of left to carry out a campaign on their northern border. The manpower simply isn’t available to them. The recent low gas prices also begs the question as to whether they have the budget for it as well. The Saudis cannot carry out any kind of military action against Qatar on a large scale. It’s also very unlikely that Qatar will launch a military campaign against the Saudis. Qatar’s air power alone is quite modest in comparison to Saudi Arabia’s. Qatar is not a large spender when it comes to its military. Qatar’s defence expenditures were a total of $1.913 billion, about 1.5% of the national GDP, as of 2010. By contrast, Saudi Arabia spent $63.7 billion, about 10% of the national GDP, as of 2010. It should be noted that the Saudis are the fourth largest military spenders in the world. The Saudis must have thought themselves gods. They have attempted to manipulate the entire region to their whims. Every time they have struggled to dominate someone, they have encountered significant resistance. The region, it seems, is unwilling to kowtow to the Saudi Royal family. It also looks as though the Qataris will be no different in their resistance. Jason Unruhe is a contributor to PressTV and long time blogger and amateur journalist on YouTube.